Nov. 4, 2010, 4:27 p.m.
We're going to green light you posting your buy and sell stuff in here BUT please make a post in our buy and sell first. Nov. 4, 2010, 7:42 p.m.
whoa this is epic timing. Was just thinking of posting a want to buy, now I can! Feb. 21, 2012, 6:12 p.m. Does anyone know pack_man007? He recently posted a beacon and new probe for sale, I tryed e-mailing him but haven't had an answer back. Oct. 13, 2014, 4:30 p.m.
Oct. 13, 2014, 4:55 p.m.
WTB. Size 10 shoe ski boots, and 175-185 all mountain skis? Haven't ridden in years and want to get back into skiing this year on a budget. Oct. 14, 2014, 8:05 a.m.
Oct. 14, 2014, 6:35 p.m.
Nov. 22, 2014, 6:28 p.m.
Nov. 25, 2014, 12:34 p.m. 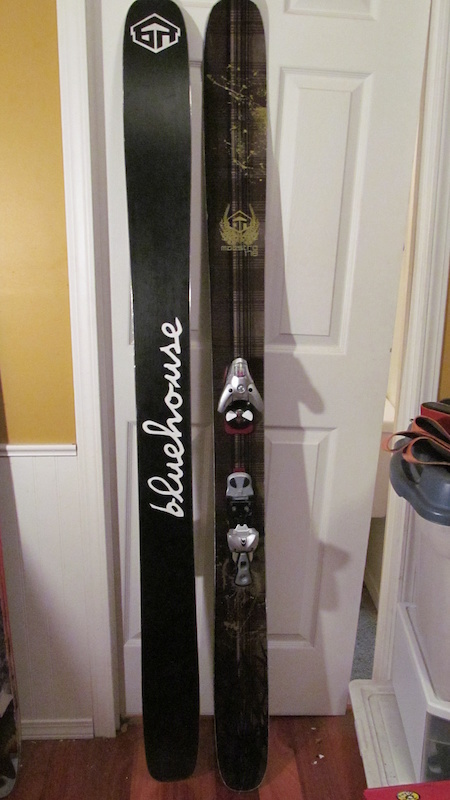 Selling a very good condition 2010 Women's Salomon Ivy Board, 149cm with Lexa bindings. A fast, moderately stiff ripper of a board. Rides pow like and dream and very stable. Board has fresh tune from the end of last season. Dec. 7, 2018, 7:37 a.m.
Cypress G8 pass. I got two this season but my wife can't ride this winter. No Blackouts, also includes a free day at Revy. Yes it's transferable, it's a voucher.